Sunstar announces the acquisition of the property and casualty agencies formerly owned by the Simmons Bank in Little Rock, Arkansas, Jackson, Tennessee and Murfreesboro, Tennessee. Sunstar announces the completion of its senior credit facility with the PrivateBank of Chicago, Illinois. Sunstar Insurance Group is ranked as the 73rd largest property and casualty independent insurance agency in the United States based upon revenue size by the industry trade magazine, Insurance Journal. July 1, 2017 Sunstar announces the purchase of certain assets of the Warren Insurance Group in St. Louis, Missouri. The 2016 Masters Club was announced and their success was celebrated in Sea Island, Georgia. Sunstar Insurance Group is listed as one of the Top 100 independent insurance agencies for the first time. The company was ranked as the 98th largest insurance agency in the United States based upon revenue size by the industry trade magazine, Insurance Journal. 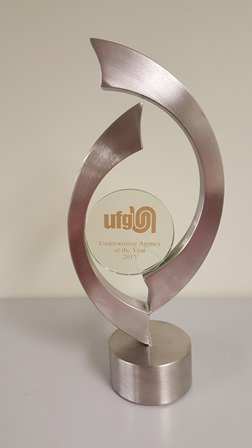 On March 10, United Fire Group presented Sunstar with the Underwriting Agency of the Year Award. The 2015 Masters Club was announced and their success was celebrated in Scottsdale, Arizona. Sunstar announces the acquisition of Sims Insurance Services located in Maize, KS.